You are here: Home > Emma's Journal > Beware the scale . 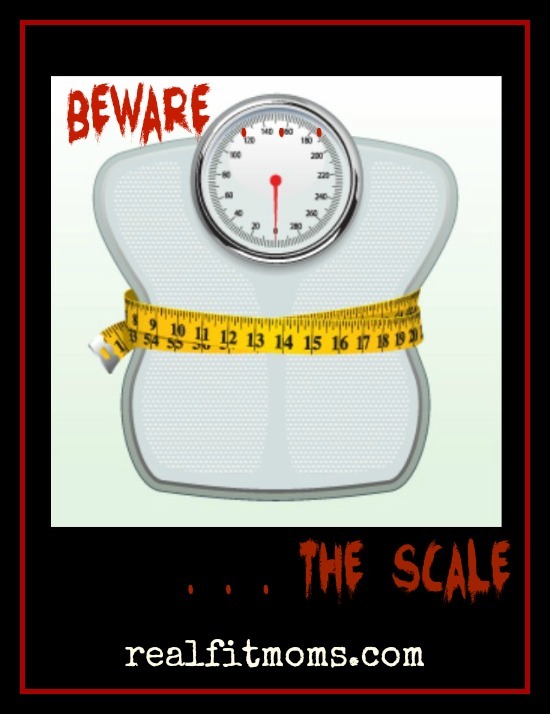 . .
Beware the scale . . . I was watching the biggest loser last night and something struck me. Well it usually does, it’s sooooo emotional. My heart breaks for these contestants who find themselves feeling lost, helpless and out of control. We have all been there right? I know I have. It’s no fun I can tell you that much. Anyway, these contestants who are slogging it out for hours and hours in the gym, eating carefully tailored eating plans to ensure they are staying within their individual calorie goals only to step on the scales on their weekly weigh in (in front of the entire nation!!) only to be devastated because the number they see on the scale doesn’t meet there expectations. Yes I am aware that it is a weightloss competition therefore the number on the scale reflects their chances of winning the big bucks but I feel like this is something we can all relate to. Being a slave to the scale. Whether your needing to lose a little or a lot, or if you one of the unlucky few who are struggling to gain some much needed weight, don’t let yourself become a slave to the scale. There are so many other things we can pay attention to. Things that are much more accurate, not to mention more important than any number you see on a scale. Especially if you are just starting out and incorporating resistance training to build some lean muscle. I have talked many times before about how much I love lift weights. Lifting weights will not bulk you up ladies, it will sculpt a lean, toned fat burning machine. Muscle burns fat, the more muscle you have the more energy (aka calories) you will burn even while your sleeping. Truth. However, in the early stages of your journey while your body is building some new muscle mass, it can show small weight increases during the initial stages because as we have heard time and time again, muscle weighs more than fat. While your weight may increase in the beginning, it is not because you are not making progress. I strongly encourage you take “before and after photos”. This is, although incredibly daunting is a great way to see your progress. You look at your body in one way or another every day so you may not see the changes taking place. Track your measurements, not every day though. Once a month take your measurements and even if there is no change on the scale you bet there will be some changes in your body composition. How are your clothes fitting? A little more comfortable? The scale may not show it but you will be getting, leaner, smaller, healthier and these things and so much more important than a number on a scale. Pay attention to how you feel. Are you sleeping better, less bloated, hows your skin looking and most importantly how is your energy? Please do not be discouraged, do not lose heart and please, please, please do not become a slave to the scale. In the past I have had husbands, sisters, loved ones hide the scales from clients who were obsessed with weighing in every day and losing heart to the point of wanting to give up because the scale just wasn’t moving how they wanted or thought it should. Weighing in every day, or several times a day was stressing them out. Stress does not do a body any good. We all know it. You know what happened, once the pressure of the scale was gone and these clients took to weighing in just once a month . . . giving them the time to take in other changes taking place, their skin was clearer, they were sleeping better, less bloated, their clothes fit better and they had loads more energy. And you know what else, the numbers moved in their favour. So I encourage you to please, step away from the scale. Breathe. Take each day as it comes. One day at a time, one meal at a time, one workout at a time. You are more than a number on a scale. What are some other ways you can track your progress in your journey to better health and fitness?